Bart Starr – Project 365 Day 83, a photo by Ladewig on Flickr. 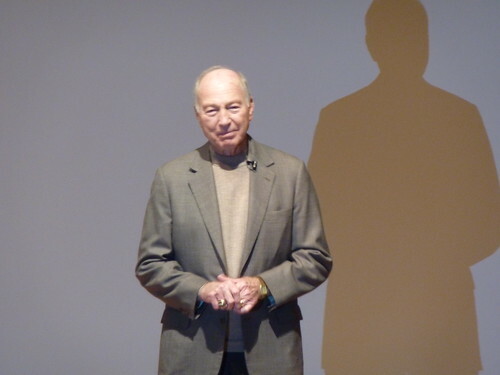 Bart Starr was at Maryville University as part of a speaker’s series. I wound up going at the last minute when a meeting was cancelled, so I didn’t have as good a seat as I had hoped. The place was packed with Packers fans, many more than students. The picture isn’t great due to lighting and having to zoom in.